At the end of the 19th century Flinders Petrie mentioned that he’d seen 300 camels a day laden with stones leaving the pyramid site! 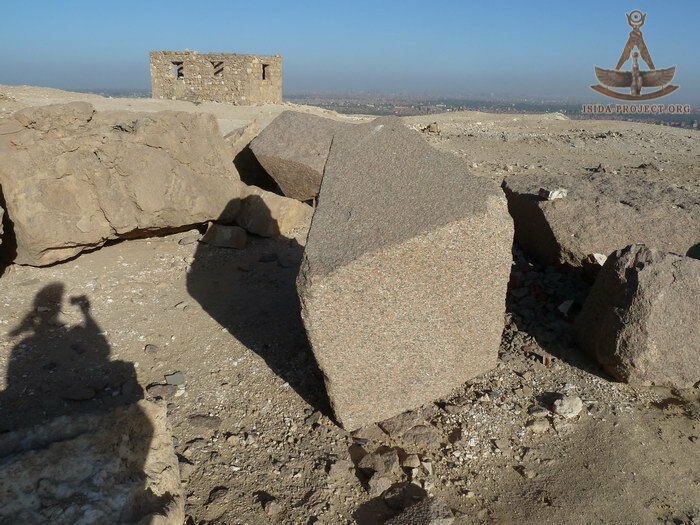 The perfectly squared blocks were probably used to rebuild some of the buildings in the valley and maybe even in the suburbs of Cairo. Petrie doesn't relate just how the blocks were broken up, but judging by his report, it was on a large scale at the end of the 19th C.
As far as the Mortuary Temple of Khufu is concerned, ATA, much of it was removed in Dynastic times. The method of transport is unclear. My suggestion is that this temple may have been destroyed prior to G1a and perhaps even the pyramid. I have already provided you with the link to the dissertation of Hawass. He includes extensive references which provide arguments and counter arguments for the structure and purpose of the temple including those of Hassan as well as a detailed overview of what the temple may have looked like.